Considered a design classic, the st04 backenzahn (which means 'molar') has become an identifying icon for e15 and part of several permanent exhibitions in museums. 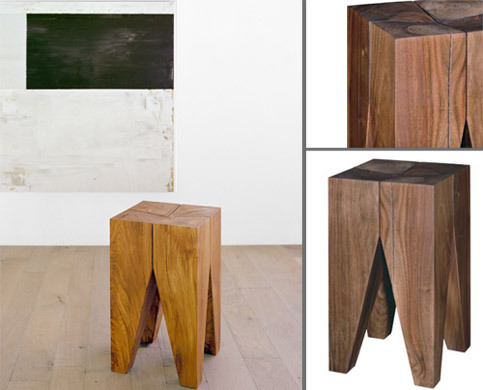 With its four identical legs made of solid wood the stool gives a strong impression. the legs taper downward with two deliberate incisions. 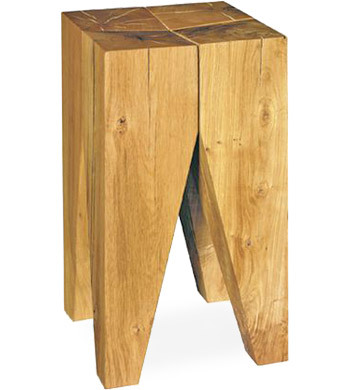 The gaps between the legs suggest that all four parts are still clearly recognizable, and the slightly concave seat provides sitting comfort while the flat top can be used as a side table or seat. Born in Hamburg, Philipp Mainzer studied product design at Central Saint Martins University and architecture at the Architectural Association University in London. In 1995 Philipp Mainzer established e15 with Florian Asche. After completing various interior design projects in England, he worked in New York as an architect. Today, he is managing partner and creative director of e15. 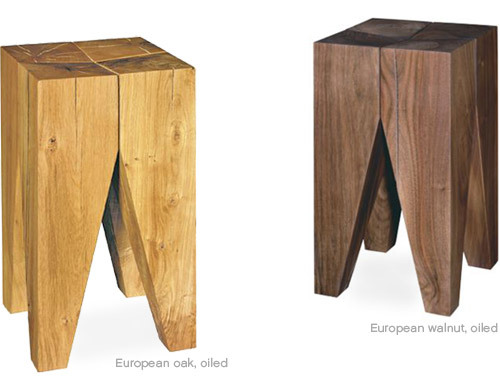 Please note that European walnut can be lighter in color than American walnut so there will be a wide range of color variation. 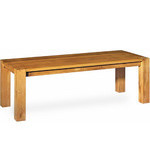 Also, during the seasoning of solid wood, the wood forms their characteristic cracks, which make every piece unique. 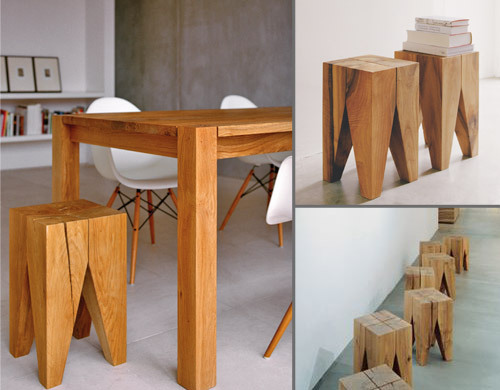 These are part of the design (since e15 wants to use as much wood as possible from each trunk) and are not defects. 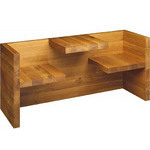 $1,210.00 + free shipping in the continental U.S.
Djake, more than a month ago. 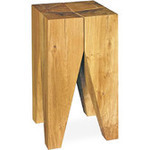 I love my backenzahn stool!